Young love is so widespread each Valentine’s Day that it threatens to deplete Cupid’s stock of arrows. 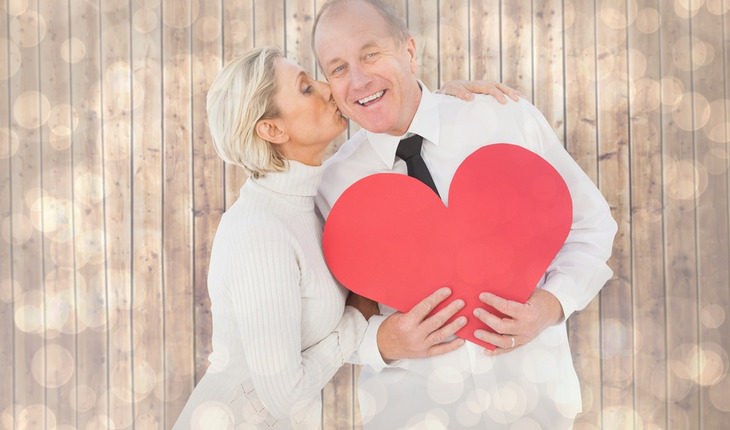 But single men and women with a few extra decades under their belts – and perhaps a little gray in their hair – are also in the market for romance, and they likely have a better understanding of how to turn a first date into a rewarding experience. That’s because the over-40 crowd knows something about dating that only the wisdom of experience can teach, says Barbara Foster, a women’s studies professor and author of Confessions of a Librarian: A Memoir of Loves (www.threelovestory.com), published by Riverdale Avenue Books. Many older singles, out of the dating scene for a while, might be reluctant at first to venture back into the world of romance. They may just recently have become single again after being divorced or widowed, and may not appreciate the advantages their years of experience give them, Foster says. A man who is experienced with women should be less anxious or competitive. He’s likely to be more at ease and can focus on his romantic partner as a person. A woman who has been married or involved is likely to know how to entertain because she’s had the opportunity to play hostess, probably many times over. If you’re lucky, she may even cook, Foster says. Mature people know how to speak in affectionate sentences longer than “lol.” They also are more accustomed to working for what they want, which includes showing you a good time. Barbara Foster has worked as a college librarian and as an associate professor specializing in Women’s Studies at the City University of New York. She has published numerous articles on education and travel, as well as more than 200 poems in literary journals under the name Belladonna. Her latest book is Confessions of a Librarian: A Memoir of Loves (www.threelovestory.com).